Clean water is a huge problem globally, especially for women, but there is something we can do to help. Clean water is a huge problem globally – especially for women. 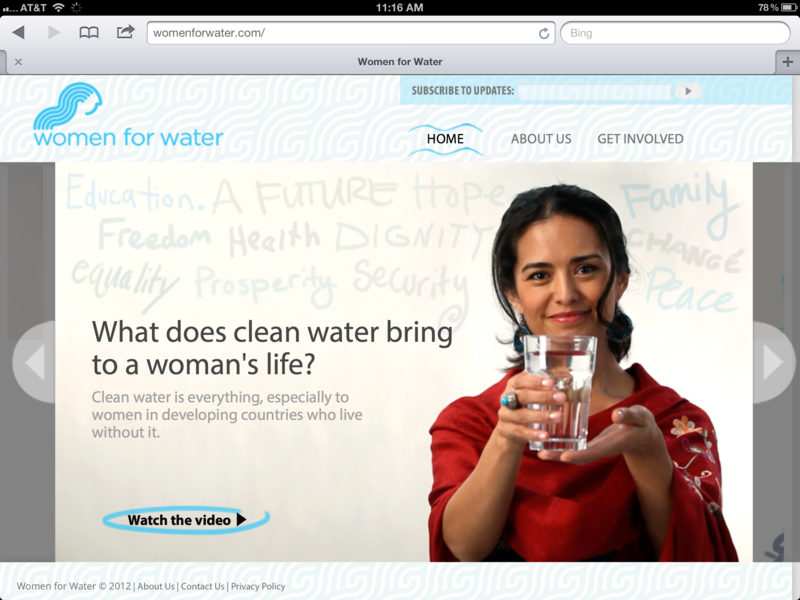 So the Global Water Challenge knew it had a unique opportunity to tell womens water stories, and to ask for help. OgilvyOne Worldwide produced video and a site design to speak to the heart of the matter. 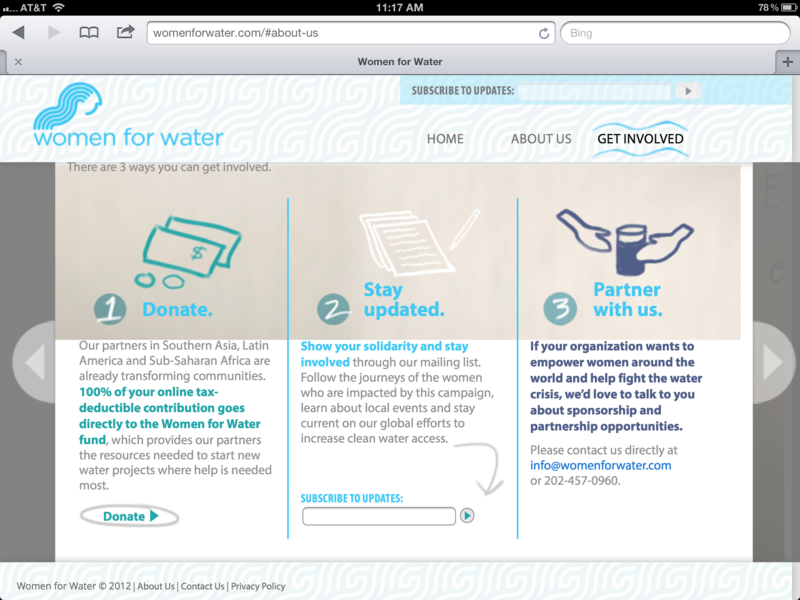 el-studio built the site, including donation functionality, and launched it in time for World Water Day.